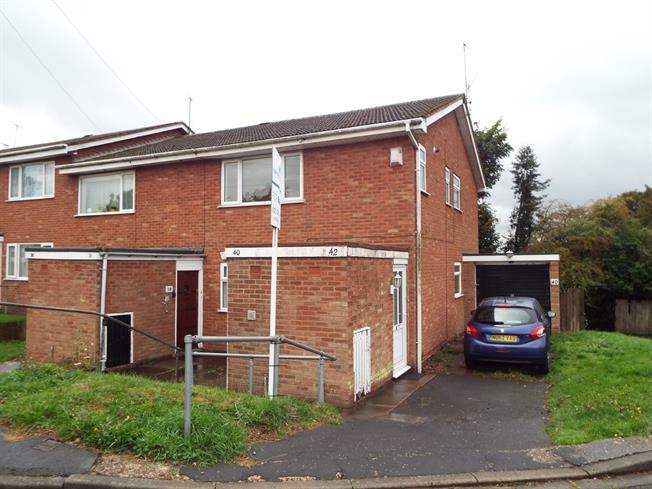 1 Bedroom Maisonette For Sale in Sutton Coldfield for Offers in the region of £110,000. A well presented first floor maisonette benefitting from double glazing and gas central heating. The accommodation in brief comprises: entrance hallway, lounge, re-fitted breakfast kitchen, double bedroom with dressing area, family bathroom. Externally the property benefits from a garage and private rear garden. Internal viewing is highly recommended to fully appreciate the size and condition of accommodation which is offered for sale with no upward chain. Double glazed window facing the rear. Tiled flooring. Roll top work surface, fitted wall, base and drawer units, single sink with drainer, integrated oven, electric hob, space for washing machine & fridge/freezer. Double glazed window facing the front. Radiator, a built-in wardrobe, ceiling light. Previously part of the main bedroom which is now split by a stud wall, double glazed window to side, radiator, storage cupboard housing boiler.